Colingua Translations is a translation and conference interpretation (simultaneous translation) agency based in Brussels and Liège. 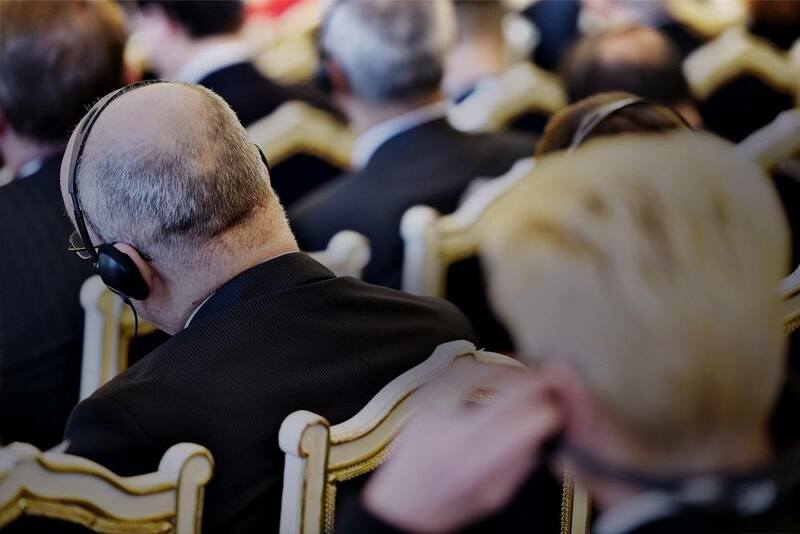 Our conference interpreters are active in Belgium, France, Luxembourg and all over Europe. Our translators work for Belgian clients with a global outlook and international clients visiting Belgium or the European institutions. Our translation agency is special because it is run entirely by industry professionals. You will always be in touch with a translator or interpreter. Our translation agency in Liège has translated in the Generation 80 Experience exhibition into English, German and Dutch. Our translators are specialised in the translation of exhibitions, for the tourism and culture sectors. This weekend, our French and English translators translated the Barcelona Marathon. Our translation company adds to the international aura of this major event on the Spanish running calendar. Our interpreting agency in Brussels specialised in European projects has been working for MED Culture this week, which is a programme funded by the European Commission. Our translation company has been working in partnership with the organizer of the Barcelona half-marathon, RPM MKTG, on a nearly daily basis since the beginning of December. Last Friday, our conference interpreters were assisting the staff of Scania during their annual start of the year event, providing simultaneous interpreting at Autoworld Brussels. Our interpreting agency in Brussels regularly works with institutions in Brussels. Over an eight day period, our Dutch <> French conference interpreters have assisted the ERAP during its bilingual technical training sessions. “Square Brussels Meeting Centre has worked with Colingua Translations since 2010. Square Brussels Meeting Centre hosts conventions, conferences, trade shows and other large-scale international events. Square has over 25 rooms (total surface area of more than 13,000 m2), including one with a capacity of 1,200. Square is a key player in the heart of the capital of Europe, boasting all the infrastructure required for multi-lingual events. Colingua Translations provides simultaneous interpretation into French, English, Dutch, German, Spanish, Italian, Russian and other languages. “Our female ready-to-wear clothing firm, PIMKIE, has called upon Colingua Translations for our international conventions and meetings for several years now. We appreciate their professionalism and ability to adapt, as well as the relations we have forged in the course of our various interactions. we work for Pimkie at their headquarters in Lille (France). Our interpreters and technicians also travel with Pimkie to international conferences organised by the company in France and Germany. The flexible structure of our translation and interpretation agency makes our top-notch services available at competitive rates. Our simulation will give you a rough idea of the price of a non-technical translation into different languages. However, it is always best to get in touch with us to ask for an accurate quote and find out the deadlines we can offer. Interpretation booth or Infoport system (widely known as "bidule")? Each job requires its own specific interpretation equipment. Making the right choice can be hard for those who are not experienced with these systems. We can help with that too. We can set up a technical solution with cabins for interpreters, microphones and loudspeakers, or a simple portable kit if you need to visit a factory or working site, or if you are holding a business meeting with just a few people. 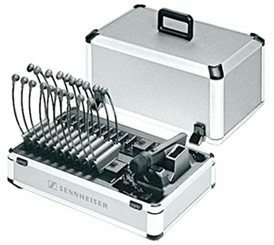 A mobile interpretation kit (also called “tour guide”) contains 20 headphone receivers. This system helps our interpreters to provide support for delegations of experts visiting factories, working sites, etc. 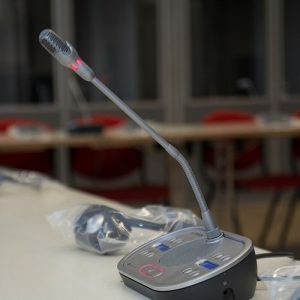 It can also be used for simultaneous interpretation during work or business meetings with a small number of people. Bosch microphone stations and headphone receivers guarantee high audio quality and comfort for your guests or participants. Its proven reliability has made this digital interpretation equipment the system of choice for leading international events. A sound technician is responsible for each audio station. 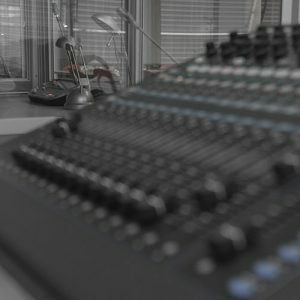 Our technicians manage sound quality in real time during your event. They can also take care of audiovisual media if necessary. We use Audipack portable interpreter booths. 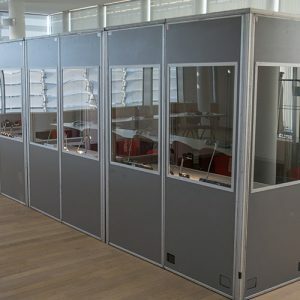 Our technicians can set up these modular “translation booths” in many different places, helping our conference interpreters to provide an outstanding service. From interpreting your speeches to setting up the equipment for your meetings, conferences and seminars, we take care of everything.